Happy Tuesday before Thanksgiving! This is a perfect time to talk about feeling gratitude. I don’t mean just being thankful for what you have or just being thankful on holidays or when something works out in your favor. I mean really feeling and living from a place of gratitude-all of the time, even when things are not going so well in your life or you’re just having a crappy day. Try this: think of all of the things for which you are grateful. Make a mental list or a written list. Then take that list and expand it to the next level. What do I mean? Like, be thankful for being able to breathe on your own. Be thankful for your toenails (because how can you live without them and I’m sure there are people out there that don’t have them). Be thankful for the person who made the sheets that are on your comfy bed. Be thankful that you have your senses. Be thankful for all of the imperfections in your life because these things are happening to open new doors for better opportunities. Get the idea? Then begin to feel the gratitude from your core. Get excited about all of the wonderful things that you have in your life and the things that are coming. Now do this every single day as soon as you wake up. Watch what happens…. Today’s breakfast. 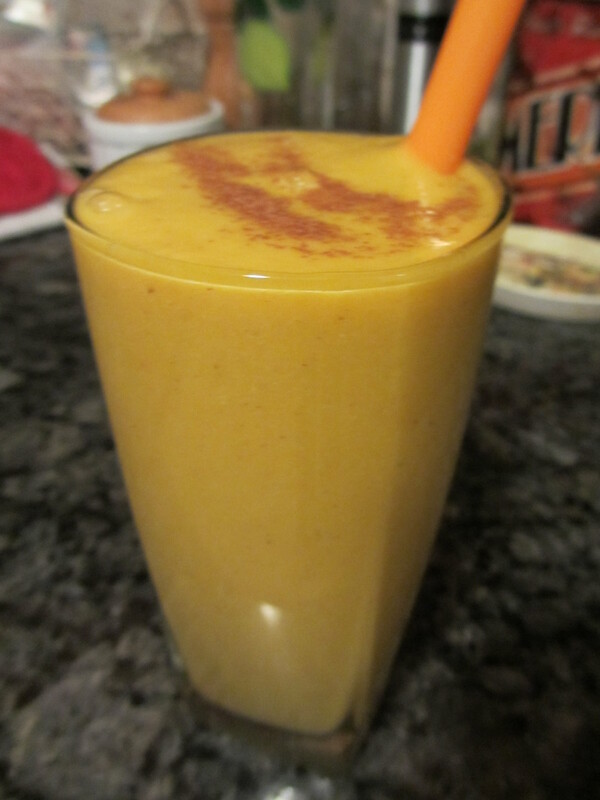 Pumpkin pie smoothie!!!! Some of the best recipes happen when there is no plan and you throw a bunch of ingredients together. This is what happened here. With this fall-in-a-glass, the holidays-in-a-mason-jar, pumpkin-pie-in-a-cup smoothie, I am thankful for it and the fact that I was able to have the ingredients to make it and now share it with you. 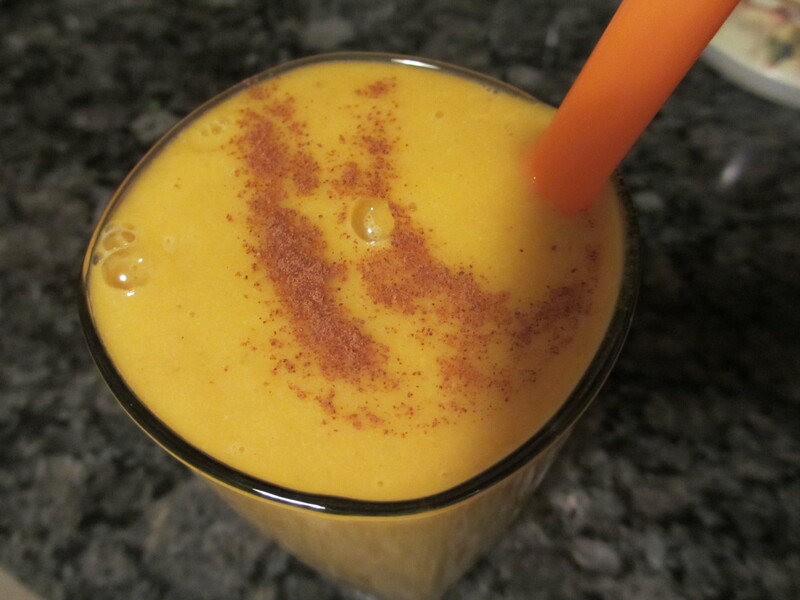 Put all ingredients in a blender or food processor and blend until smooth and creamy. Pour in your favorite glass and be thankful that you have taste buds to enjoy it. Gratitude comes from your core… Great post from My Habitual Happiness Blog! Yum!! Thanks for this post, Jennifer!